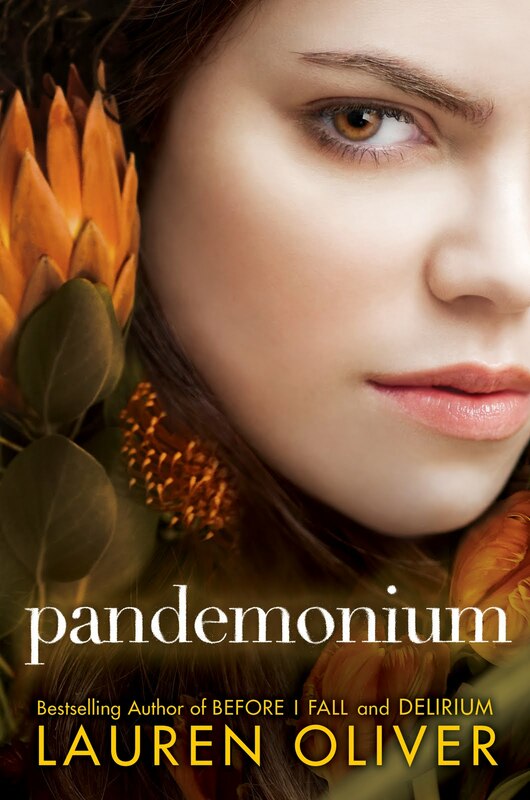 Pandemonium is the second book in a trilogy following a Portland girl named Lena. If you haven't read the first book in the series Delirium don't bother reading this book because you'll be lost. Pandemonium builds upon the first book and starts where the first book leaves off. Lena is in the Wilds and all on her own. This isn't how she thought she would start her new life. The memory of Alex is still with her and she can't shake it. She doesn't know what else to do but close him off from her heart and try to build a new life for herself out in the harsh, new world that she has chosen. She stumbles upon a homestead and gets taken under the wing of a girl named Raven who's been in the Wilds for awhile now. It's with this group that Lena begins to get stronger and begins to realize the reasons why people escape out of the cities. However, Lena has been sent back inside the walls to help out the revolution. Lena has to work in gaining the trust of the DFA (people who are against the invalids) and attend a rally that's featuring the son of the organization, Julian. When the rally becomes an all out disaster because of the scavengers, Lena finds herself hostage with Julian. It's during this time she begins to learn a lot about herself and about Julian as well. I was really skeptical about reading this book because I wasn't really into the first book. I have to admit that this book was much better than the first and that I've already went out and bought the final book in the series. Read the trilogy! It's pretty good! I'm glad that you liked this one! I'm on the waiting list for the first two books, so now I'm excited to start them. i can't wait to hear what you think of the last book!